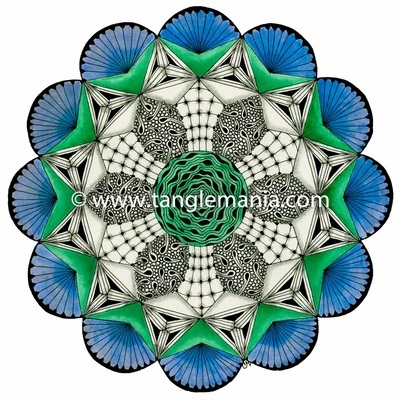 Zentangle® is an easy-to-learn method of creating beautiful images from structured patterns. It is a fascinating art form that can be fun and relaxing while increasing focus, decreasing stress, and allowing your creative juices to flow. No artistic talent is necessary to make a Zentangle tile. “Anything is possible, one stroke at a time”. 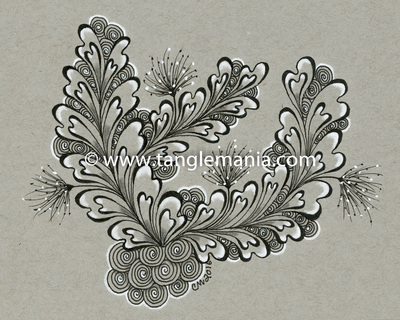 Zentangle tiles (3½ inch tiles done in black and white) are designed using special waterproof, archival pens. 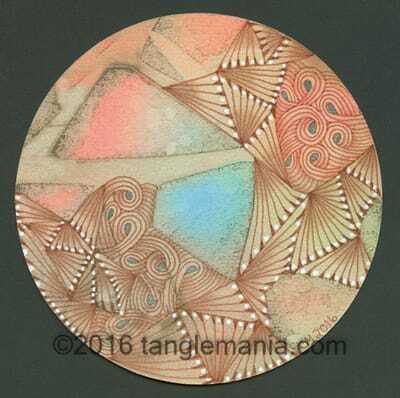 Zentangle Inspired Art can be completed on a wide variety of surfaces using different types of pens, pencils, markers, and paints. For more information, click here. Caren Mlot is a Certified Zentangle Teacher™ living in Mount Pleasant, SC. She teaches classes and enjoys spreading the love of Zentangle® to the greater Charleston area. For more information on scheduled classes or home parties, please click on the Classes & Events link. Check back regularly for updates. 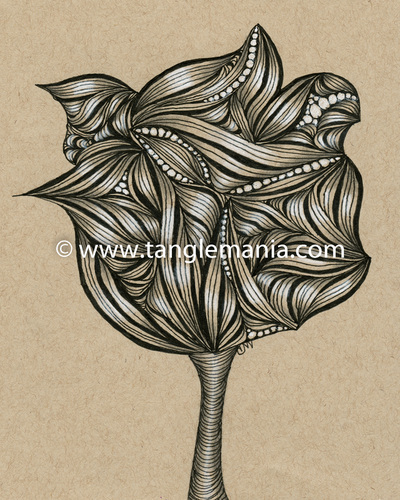 To view some of Caren's Zentangle artwork, click on the Gallery link. Check out the newest items recently posted. New Colored Tiles - now available on Etsy! 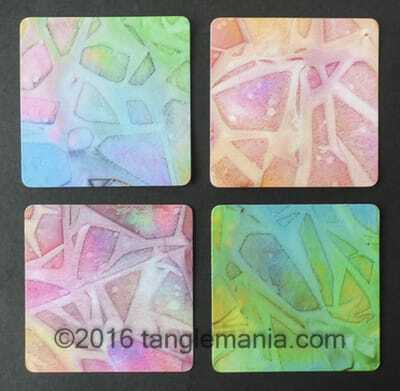 Add some color and pizazz to your Zentangle art work with beautiful "pre-strung" square or round (Zendala) tiles, created using alcohol inks. 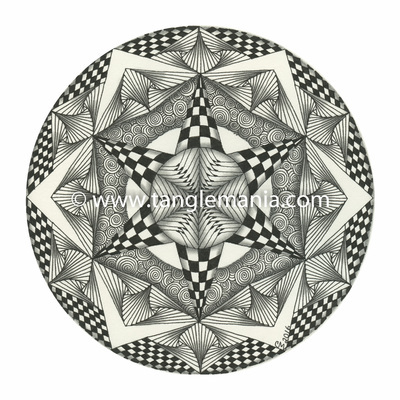 The square tiles are 4 inches while the Zendala tiles are 4-5/8 inches in diameter,. Visit my Etsy shop for more information. 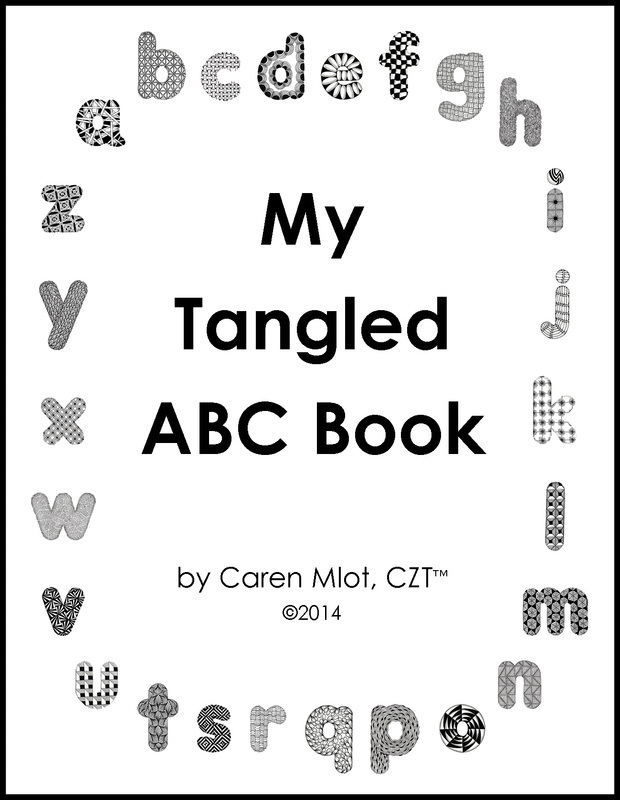 My new tangled ABC e-book (which is a downloadable PDF file) is also available on Etsy. Click here to take the quiz and find out. 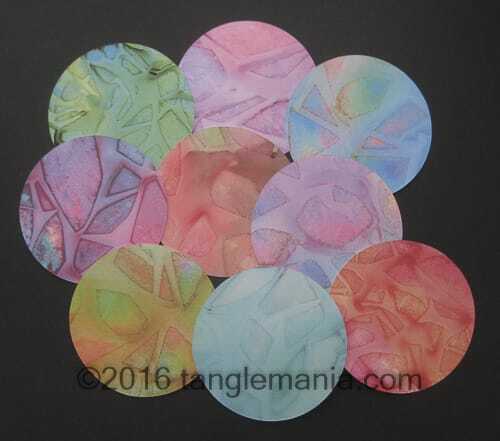 Watch this video for a glimpse of what Zentangle is all about. The Zentangle® art form and method was created by Rick Roberts and Maria Thomas and is copyrighted. 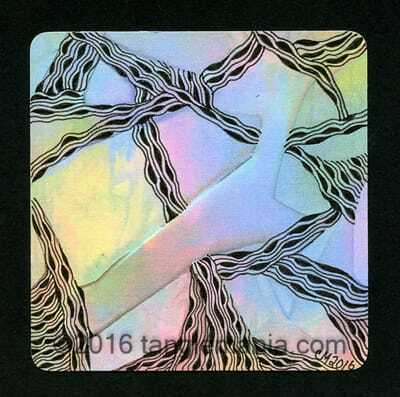 Zentangle®, CZT and “Anything is possible… one stroke at a time” are the registered trademarks of Zentangle Corporation. Learn more at zentangle.com. 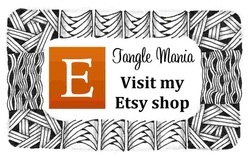 Visit us on Facebook: http://www.facebook.com/TangleMania.